Organizations and HR Managers must continually take steps to ensure employees feel valued to not only keep them onboard but also engaged and happy throughout their term of employment. After all, happy employees not only lead to increased retention but also a more productive workforce. Talent Management applications within many HCM systems have various features that can help achieve such goals. 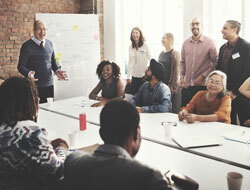 As an example, while many companies only use Oracle’s Goals and Performance Management applications during the annual performance review period, the technology has a breath of other functionalities that can help encourage and drive better communication among HR, managers and employees throughout the entire year—thus potentially increasing employee retention. The process of integrating such technologies and processes into daily workflow, however, may require a cultural change within your organization. That’s because using these business solutions to provide real time communication and career development is a change to historical performance processes. As a result, businesses may need to adopt a more regular and concise communication process to encourage them. But once users see how such functionalities can be beneficial to their career growth as well as employer communication, they likely will begin using them more often in the future. Profile management. 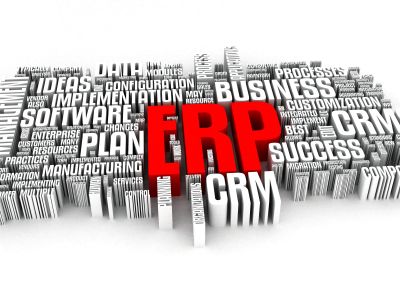 Organizations should encourage all employees to fill out and continually update their profile within the system. Some career-related information they could provide includes their education, degree, training, certificates, and what type of job they might be interested in for the future. This information would help communicate what skills the employee has and how they are looking to advance their career. For example, if an HR manager is looking to hire for a specific role and knows of several employees who might be a good fit, they would approach the employees who have a profile showing they are interested in a specific role or area of expertise. Driving a culture of internal hiring and career advancement is key to retention. Year-round goal setting and performance review. Organizations can use the goal setting and performance review functionalities within the Oracle HCM Cloud system to encourage employees to be more engaged in their performance all year round. The system enables both managers and employees to create organization and performance specific goals throughout the year and then come back and add to them, edit them or mark them as completed at any time. They also can attach related documentation so both parties can view it immediately rather than just at the time of their performance review. This process enables both parties to be more interactive and collaborative about employee performance throughout the year, say on a quarterly basis, instead of only having a single conversation at the end of the review cycle. It also can save time and alleviate the stress of anticipating a single conversation at review time because there has been collaboration and communication between employee and manager the entire year. Further, because managers are more engaged with their team throughout the year there is a better understanding of employee goals and what’s expected, which also can lead to better job satisfaction. Talent review. Building upon the profile management and performance review pieces of Talent Management, the software also offers a talent review component that lets HR managers identify and help high-potential, low-performing employees improve their performance so they can become more engaged and successful in their current or future roles. This tool can help HR and managers get a better handle on the information they need to make performance improvement decisions, or work together with employees on coaching or recommendations that would help improve their performance. Proactively initiating such conversations with low-performing employees shows that an organization is engaged and cares about their performance and career growth. Talent Pools and Succession Management. 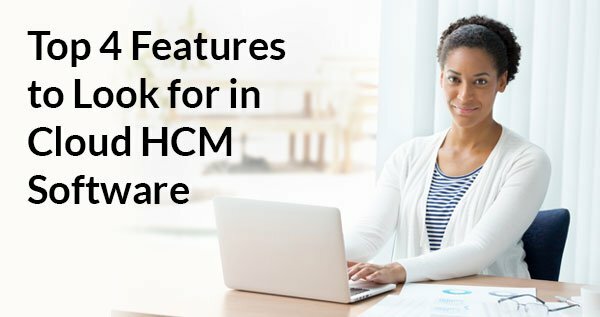 The Oracle HCM Cloud Talent Management system also enables management and HR staff and to review employee profiles to build talent pools to determine who would be the best fit for upcoming roles. They can help garner their employees’ interest in new roles and communicate, the skills or aptitudes needed to prepare, should positions become available. Such due diligence helps organizations be proactive in planning for busy hiring seasons or high-demand roles as well as better communicate their interest in employee career growth. HR staff also can use Talent Management software to review employee profiles to create a backfill list for more senior leadership roles within their organization. The tool allows them to better identify and communicate with employees that have the skillsets or are near the level needed for such roles. According to a 2014 survey by research firm TNS Insights, 84% of engaged employees responded that they are more favorable to receiving coaching and feedback from their manager. Using such features within the Oracle HCM Cloud Talent Management system can help open the lines of communication among employees, managers and HR staff to such information in an effort to keep employees engaged. If your organization is looking for some assistance in getting started using such functionalities within your Oracle HCM Cloud footprint, contact us today!